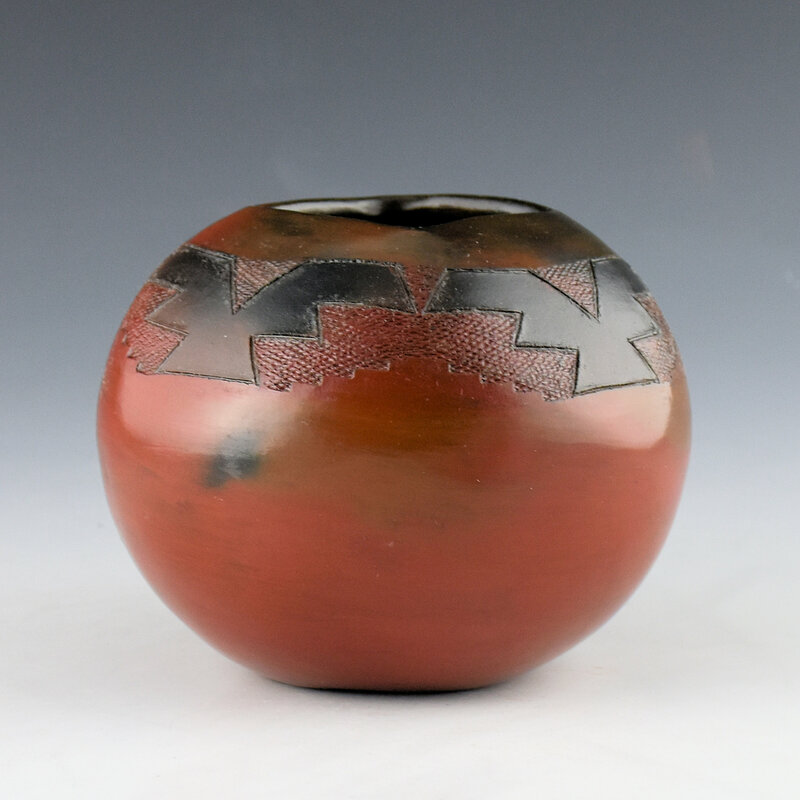 Lorenzo Spencer is one of the few Navajo males potters. He learned to make pottery from his mother-in-law, Rose Williams. This bowl is coil built and stone polished. The design of a bird is etched into the clay. Notice the precision of the design and there is a wonderful texture to the stippled area around the birds. 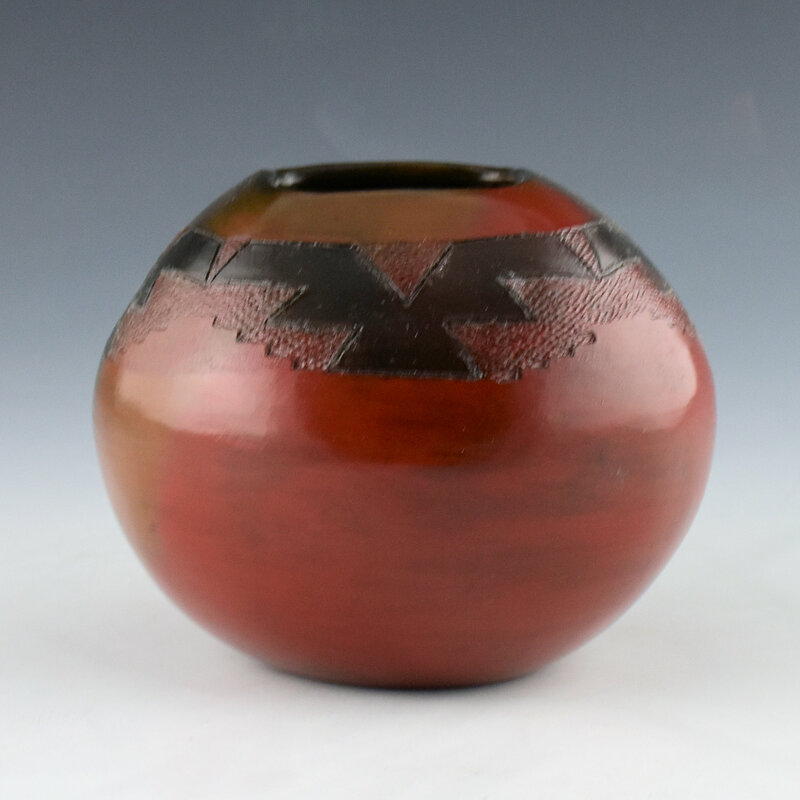 The bowl itself has a square opening and it has been traditionally fired. 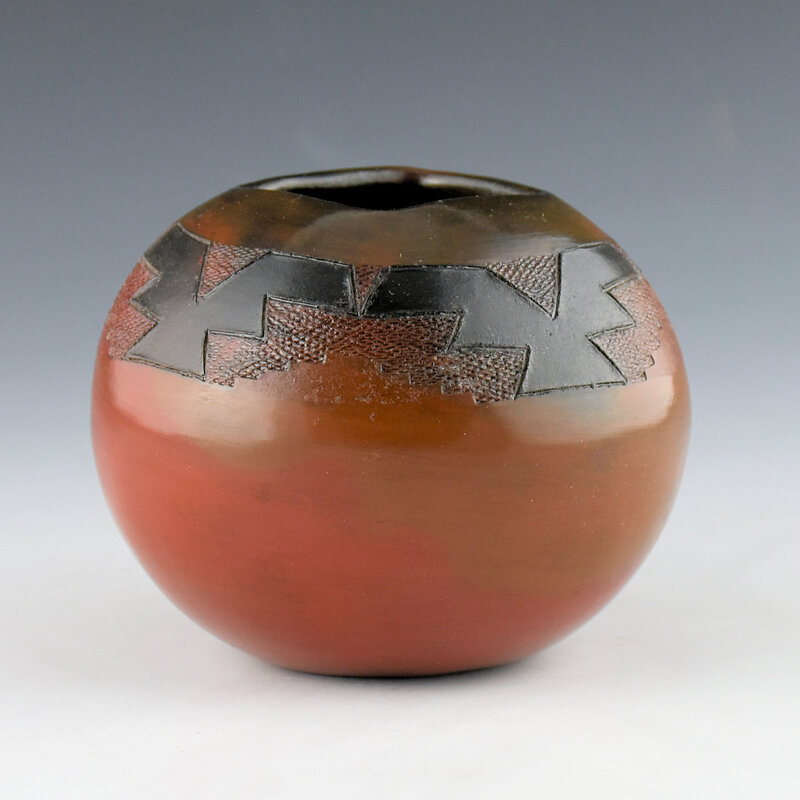 After the firing it was covered in pine pitch, in the manner of historic Navajo pottery. 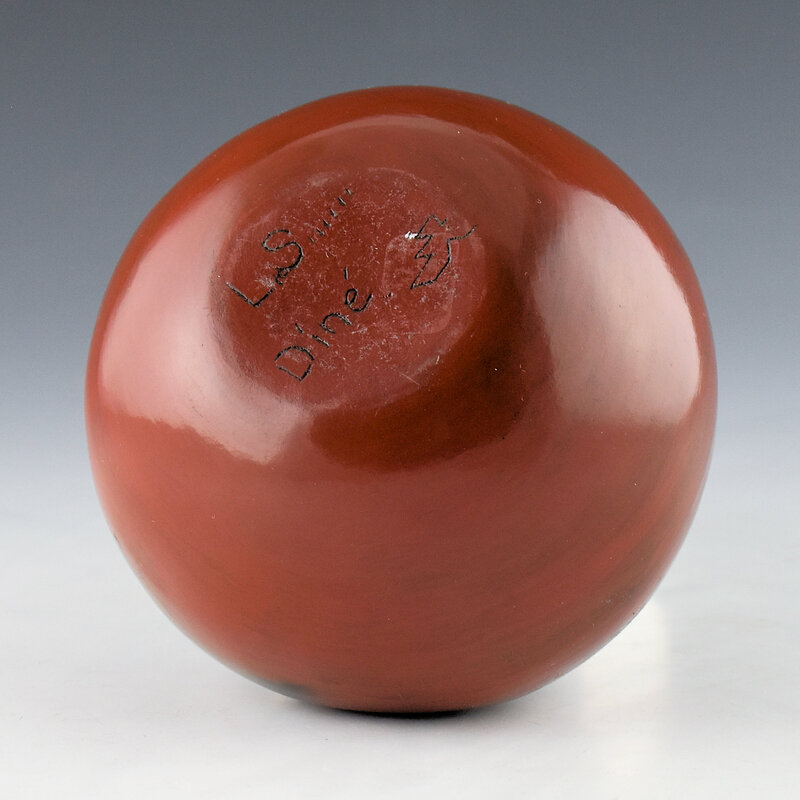 The bowl is signed on the bottom in the clay, “LS”.